In our Blast From the Past of last week, we found backup running backs littered the week 6 top performers list in 2013. The trend hasn't changed in 2014! In the illustration below, you can see 11 of the top 25 scoring running backs of the week could have been had off waivers or for a very late pick in the draft. All in all, the stud first round picks took care of business as well, taking the top four spots, but if you had a tough time drafting RBs in August, you could be better off than those who spent a bunch of top picks on RB in 2014. 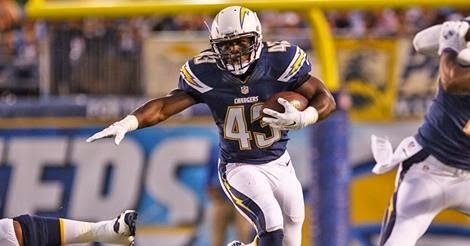 For week seven going forward, look for the backup running back trend to continue.